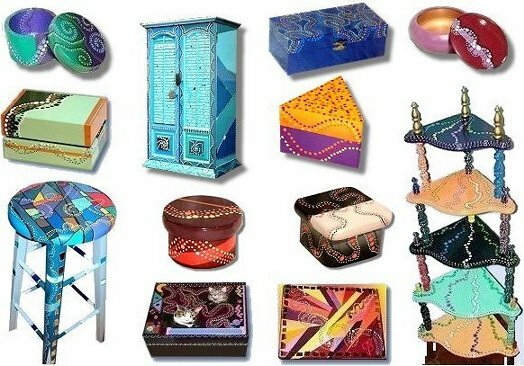 I paint and decorate all kinds of things, from cast-off pieces of furniture to TV tables, bar stools and wooden craft boxes. If you'd like to add color and visual interest to something in your home, I take commissions! Select a Gallery, below, to view samples of my work. See my work at local D.C. and Va. arts and crafts marketplaces!